WASHINGTON—Expressing confidence that the nation would meet the ambitious benchmarks by the end of Donald Trump’s presidential term, Scott Pruitt, the president-elect’s nominee for chief of the Environmental Protection Agency, said Thursday he would seek a 30 percent cut in all carbon-based organisms upon assuming office. “The primary goal of the EPA over the next four years will be to eliminate roughly one-third of our country’s carbon-based life-forms,” said Pruitt, who added that while flora- and fauna-rich states would feel the brunt of these cuts, he believed that such a bold initiative would be able to finally move the country away from outmoded biodiversity. “The job opportunities created by eliminating one of every three living things will be significant. 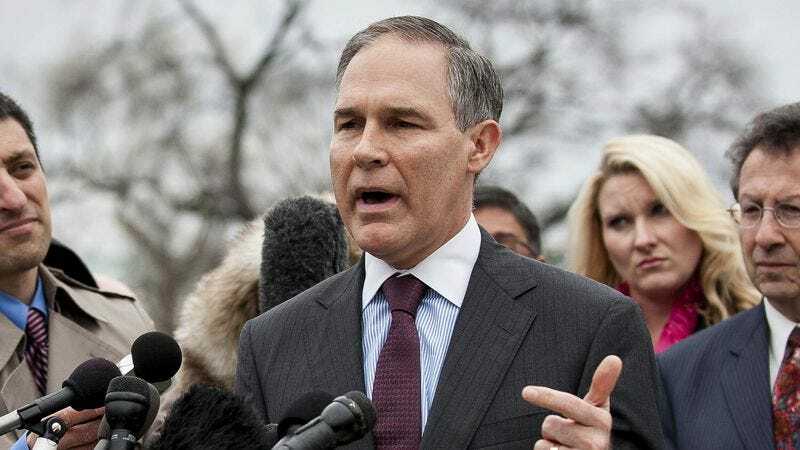 And with these initial parameters in place, I’m hopeful that by 2040 the U.S. will be able to operate free from the burdens placed on it by the continued existence of any carbon-based organisms.” Pruitt pledged that any noncompliant ecosystems would face harsh penalties.